The Grant Thornton report issued in June 2016 referred to the “fractious” political culture within the Council, and within the Chamber. The opposition group leaders would attribute the start of this to be when Cllr Banwait became Leader 2 years ago. 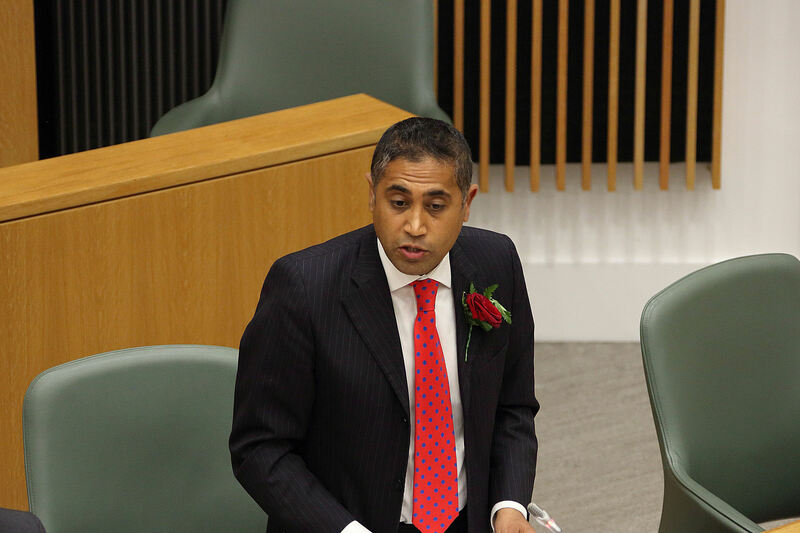 When challenged, Cllr Banwait seems to accept no accountability, either as an individual or as Leader of the Council. Whilst Council meetings will necessarily involve political “banter” ( which everyone accepts) there is a line to be drawn when it turns to personal abuse. The Council Meeting of the 18th May 2016 exhibited just why trust between Council members continues to deteriorate when Cllr Banwait verbally abused Cllr Graves following a suggestion he made for a modest cost saving in the Council. The “despicable” action that Banwait refers to was Graves’ contribution to the motion, earlier in the day, to ‘thank’ Cllr Pegg for his year as Mayor of Derby. Graves referred to the “culture of bully boy tactics” that had grown in the Council which he attributed to the ruling Labour Group. He went on to state that “in the last municipal year the Council has experienced the worst chairman in its history”. His view was that “Cllr Pegg has been anything but impartial”….and on that basis wanted the words “impartiality” removed from the motion. This was voted down. It is worth remembering that Cllr Pegg has been found guilty by the Council’s Director of Governance of abusing a member of the public in the chamber, lying to his constituents, and misusing the Mayoral office. To refer to anyone as a “disgusting, despicable individual” is unacceptable and when it comes from the Leader of the Council in a public meeting then we know that something has become very rotten in the way that local politics is being led and conducted in Derby. To quote Cllr Banwait – “it’s about time the people of Derby saw exactly what you are about”. Yes, Cllr Banwait – the people of Derby should know what you are like, and about.This is not the man who should be Leading Derby. The reason for the delay in posting this video clip was due to the Council taking 3 months to upload it onto Youtube. The Grant Thornton report is only one report that had been withheld from public gaze prior to the local elections. How confident are you that the council would have published the report had not thousands viewed this video on 2nd May 2016? People with attitudes and intellect on this level are running a city ? It strikes me there is a total lack of basic ethics. “What CP number” sums it up. Whoever is right or wrong to hide behind a tick box in an open meeting is loathsome and demeanes the office of Mayor.